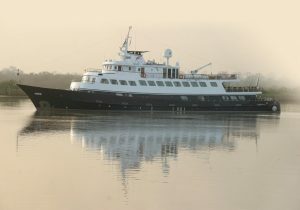 SMALL SHIP cruise specialist Beyond Travel has released a unique Iceland holiday alternative which offers fantastic value with savings of up to $4700 per couple on its eight-day coastal voyage “The Land of Ice & Fire” that travels along the coast of Iceland on June 10 and 17 departures this year. Iceland is the destination on everyone’s 2017 list, however it is also renowned as a fairly expensive destination to visit due to the limited season. With inbound tourism up 40%, availability on tours and hotels is extremely tight this summer, which makes this cruise deal a great alternative with accommodation and all meals included. Sailing aboard the recently renovated boutique ship MY Callisto from Reykjavik to Akureyri or vice versa, the itinerary includes majestic coastal scenery with cruising through remote fjords, port visits to some of Iceland’s best kept secrets, picturesque fishing villages, volcanic landscapes and plenty of opportunities for wildlife spotting. For alternative departures in July, August and September clients can save up $2300 per couple and receive a bonus shore excursion package valued at $2,000 per couple. Now priced from $2005 per person twin share, it includes seven nights cruise accommodation, all meals, tea/coffee and mineral water throughout the day and the services of an experienced captain and crew and port charges.